The draw for the 2019 Connacht Senior Football Championship was made last night and there was a frustrated reaction from many supporters at the prospect of facing Roscommon for a fourth successive year. Leitrim and Roscommon met in Pairc Sean MacDiarmada in this year's Championship with the visitors running out 14 point winners (0-24 to 0-10). Last year saw Roscommon emerge 2-23 to 1-9 winners when the sides met in Hyde Park and in 2016 the Rossies enjoyed a 1-21 to 0-11 victory. 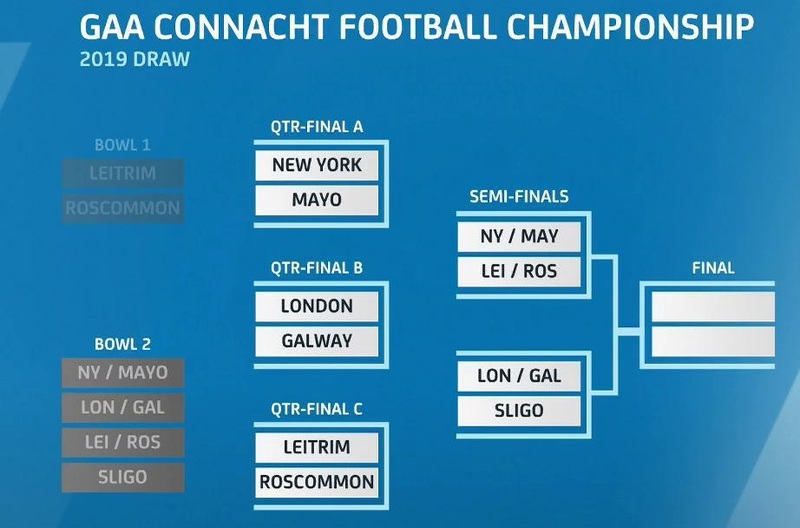 Should Terry Hyland's Leitrim get the better of Roscommon they will then face either Mayo or New York in the provincial semi-final with Galway, Sligo and London waiting on the other side of the draw. Speaking live on RTE, Leitrim's Emlyn Mulligan summed up the feelings of many when he acknowledged his frustration at the prospect of facing Roscommon for a fourth successive year. "Since I've been playing, Sligo are the only team other than London and New York that we have bet and that's why I was so anxious to get them. "It's very hard to motivate yourself. When you are being realistic you have to look at the bigger picture and Division 4 of the National League at the end of January is our aim. It would be great to run in that and get promoted and with Terry (Hyland) on board. We know he has a good managament team put in place and we would be hopeful and quite confident that we can contest it but going into the Championship we need to be at the top of our game and hopefully Roscommon mightn't get as good a manager as Kevin McStay and a lot of players might leave. That might be our best opportunity to get a win over them!